Confession: I do not own a fondue pot. 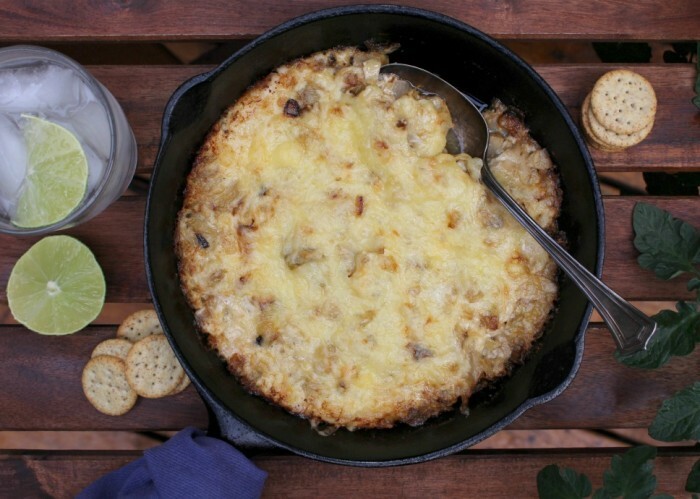 And yet there are few things better than a bunch of friends sharing a pot of gooey cheese. When people ask about my favourite food, my answer – not that I could possibly choose one thing – it would depend on the day and my mood/location/appetite and the occasion and season – is inevitably something that contains some form of melted cheese. (Most of the time.) It’s the sort of thing that elicits the most enthusiastic response when presented to a room full of people. And what’s easier to serve with beer and wine? It’s so universally loved, our annual Christmas party has a cheese theme – in no small part because I love having miscellaneous ends to nibble and turn into baked dips and mac and cheese all winter long. It’s a dream, of course, when someone requests that I take some Quebec cheeses for a spin, and ships me a box. We celebrated its arrival one Friday afternoon by inviting a few of our favourite people over. 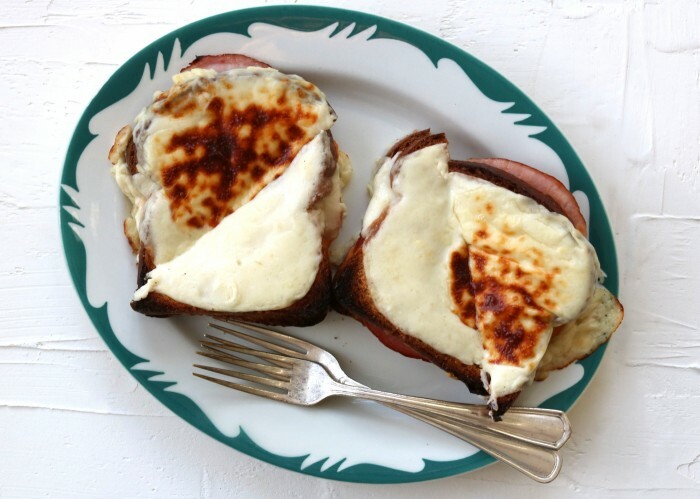 The cheeses came from Alexis de Portneuf, a Quebec fromagerie that remains in the same rural village where founders Alexis Cayer and his wife, Jane Skinner, settled in 1842 – a spot they found had fertile land for pasture along the St. Anne River, by the rolling Laurentians. This is the kind of backdrop I imagine fromageries should exist. A board loaded with cheese is my go-to when we have extra people in the house, for whatever reason – it can be small, with just one or two cheeses and a handful of crackers and a knife, or more elaborate – either way, it’s ridiculously easy. 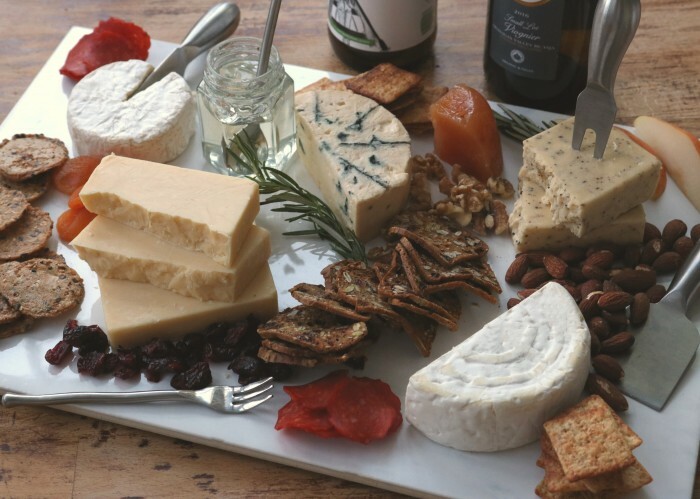 Traditionally, cheese platters include a variety of cheeses with a wide range of flavours, shapes and textures from soft to firm, mild to pungent, mellow to robust, depending on your budget and taste. 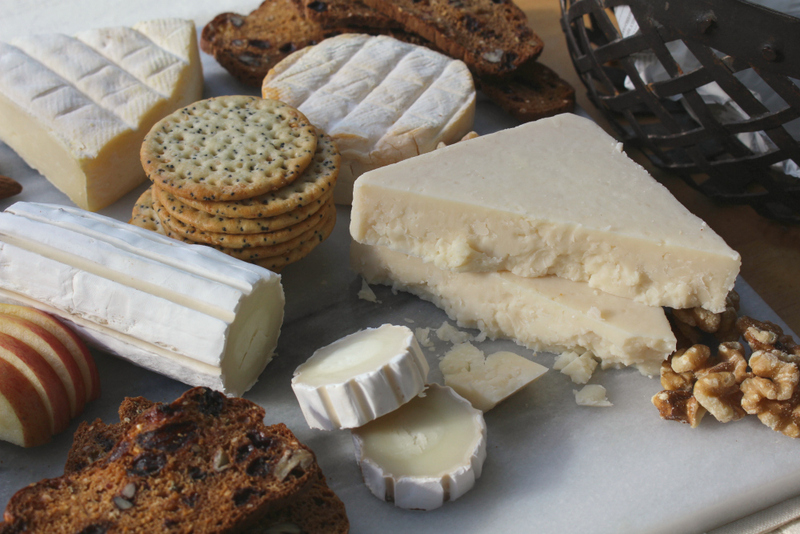 If you’re cheese shopping (my favourite kind – everything always fits) with a cheese board in mind, aim for at least three types, but no more than six or seven per platter or board. A goat milk option (or two) is a good idea, not only for a broader range, but to accommodate those who may not be able to tolerate cow’s milk. As for quantities, plan on about 60 grams of cheese per guest, assuming there are going to be other nibbles. 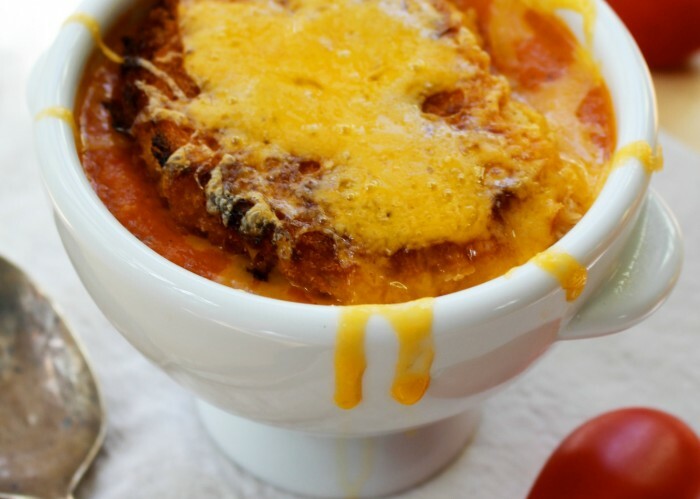 I always err on the side of too much – leftover cheese is never a problem. Pairing is easy – pour the wine you like. If you’re stuck for a choice, go for bubbles – Prosecco or cava or some good local beer – fizzy drinks always pair well, cutting through the richness of the cheese. There’s no right or wrong way to do arrange them on your board of choice – and then all you need to do is fill in the gaps with an assortment of crackers, dense breads (such as Irish soda bread or nut quick breads), dark rye, seed bread, olive loaves and baguettes are all great accompaniments – aim for a variety of shapes and textures here, too. 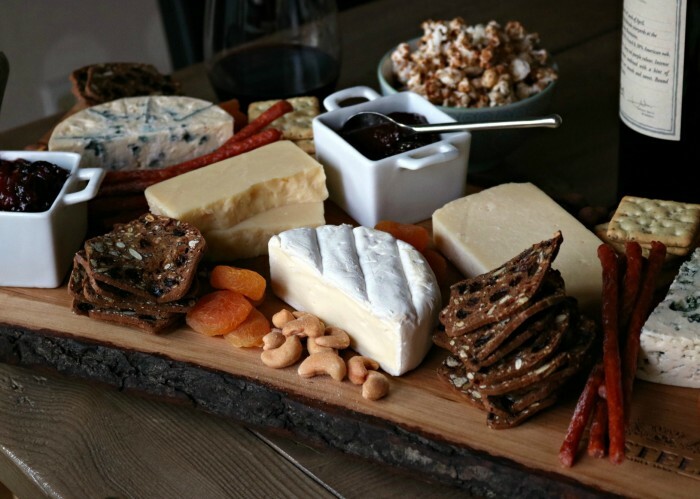 Place large pieces of cheese on your board and arrange them in between. 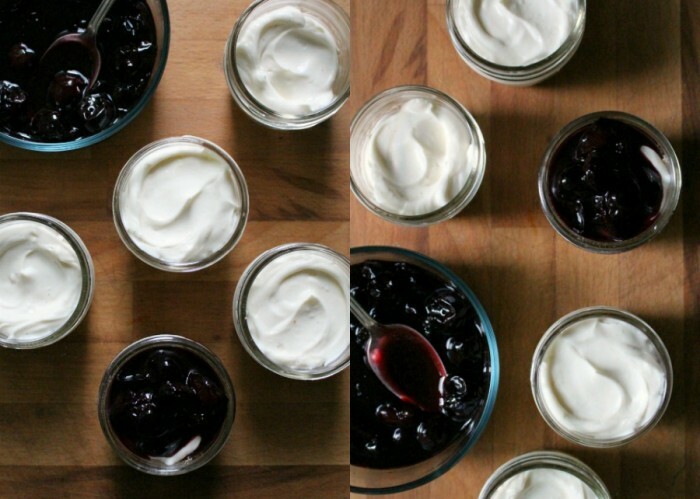 Dried fruit, sliced apples or fresh fig wedges or bunches of grapes, and toasted nuts can fill in the gaps between the cheeses and crackers – if you like, add small ramekins of preserves, chutney or olive tapenade for an interesting contrast. So there’s the board. But what if you want it gooey? 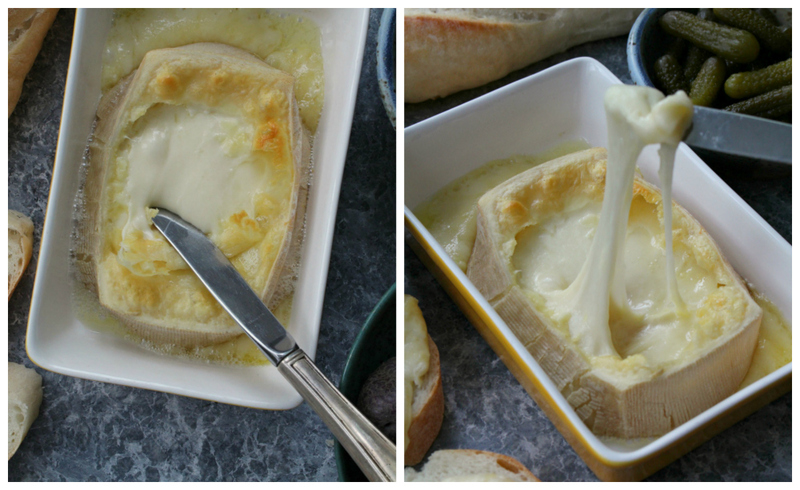 Baked Brie has been a party pullout since the eighties, when we used to top it with sweet chili sauce (still delicious), but let me tell you how to make a quick fondue without grating anything, using up any of your nice wine, or requiring a pot. Raclette is truly one of the most underused cheeses in Canada – it’s buttery, creamy and nutty, a semi-firm cows’ milk cheese that, if they recognize it, people associate with the Swiss tradition of setting it under a grill, then scraping off the melty top layer onto a plate with boiled potatoes and cornichons. Yes, you can buy a raclette grill – but there’s no reason you need to have one. It’s the easiest thing in the world to set in a small baking dish or skillet and pop into the oven or run under the broiler for a few minutes. 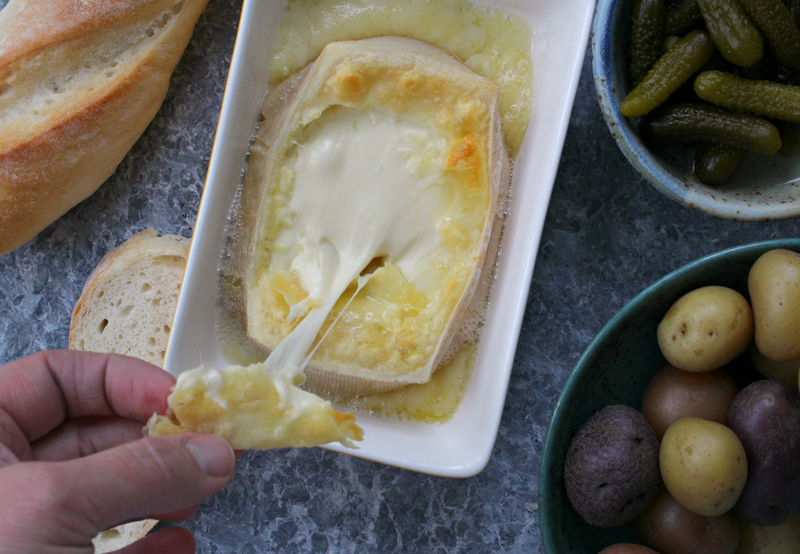 It transforms into the most creamy, gooey, dippable cheese you can imagine, with a light crust you pull off and eat with your fingers first and eat all for yourself. You could do the same with vacherin – in Ina Garten’s latest book, Cooking for Jeffrey, she describes baking a chunk of vacherin in much the same way, with a drizzle of oil and pinch of herbs before it goes into the oven. But wait, check this out. My neighbour-friend brought over a bag of small purple onions – a fraction of what her mother had grown in her garden in Nelson, BC and brought when she came to visit. 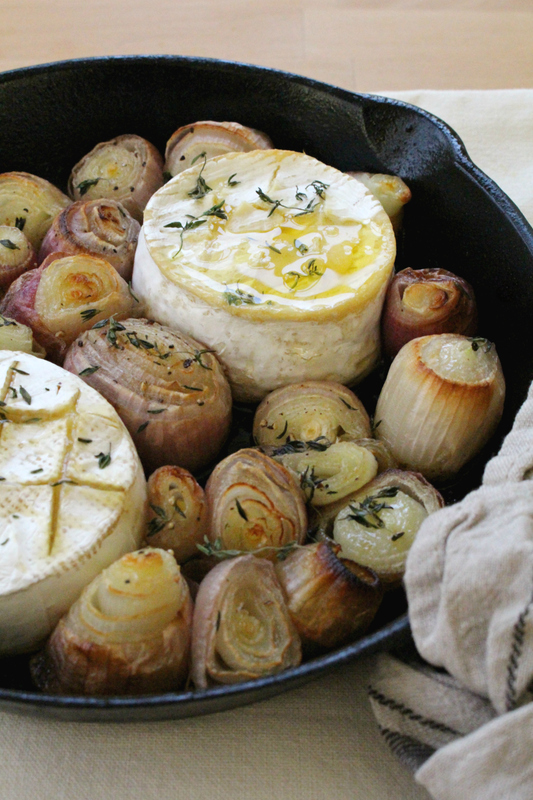 I decided to roast a bunch, and it occurred to me that soft cheeses could be nestled in among the roasted onions to soften and melt enough to eat on crackers and baguette with the roasted onions. Right?? It worked beautifully – next time I may nestle a head or two of garlic, with its top sliced off, in among the onions as well. 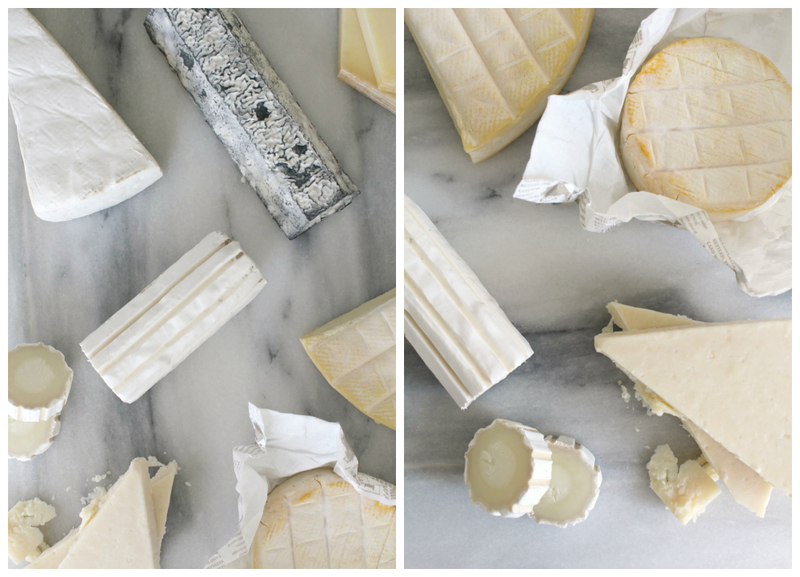 Get the onions soft and golden first – the brie and Le Calendos camembert will only take a few minutes to soften. Score the tops of the rinds to give the inside some room to flow while still containing it – and allow for easier access once it comes out of the oven. Serve right in the skillet or baking dish, set on the table (my favourite way) – remember to wrap the handle in a dish towel if it’s hot. 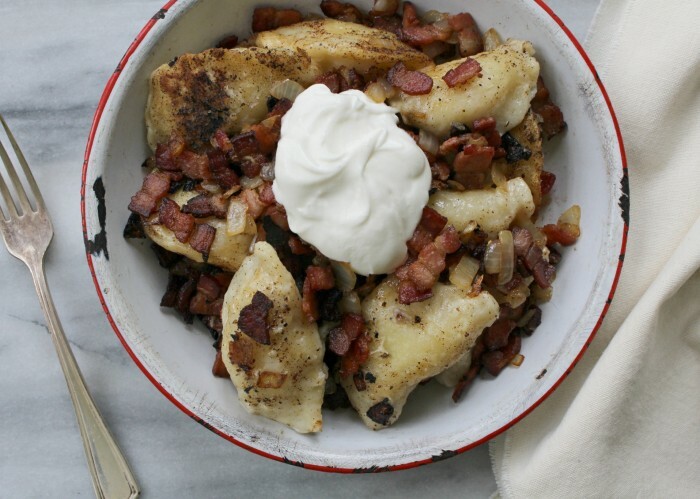 This recipe requires no specific measurements – roast as many small onions as you have – with or without garlic – filling the baking dish you want to use. 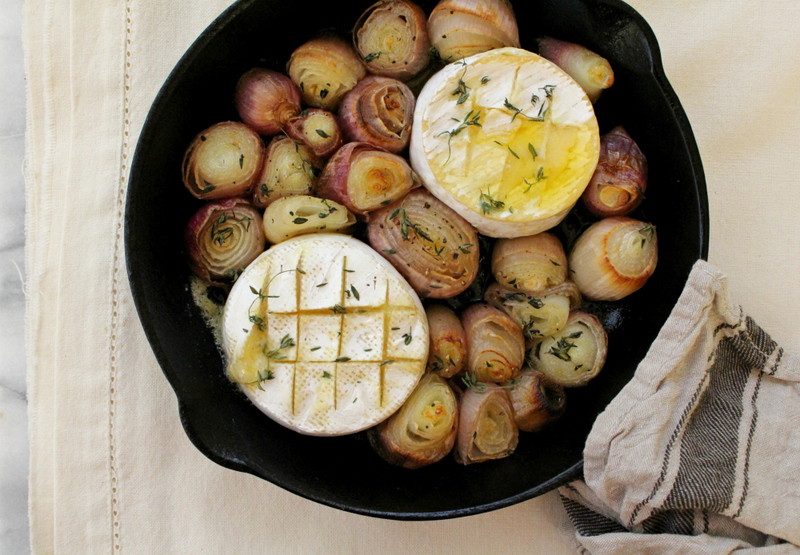 The onions will shrink as they cook, allowing enough room to nestle in a wedge or small wheel of soft cheese, like Brie or Camembert – serve it warm, with crackers and crusty bread to spread the cheese and top with soft roasted onions. And make sure you have plenty of friends around the table. 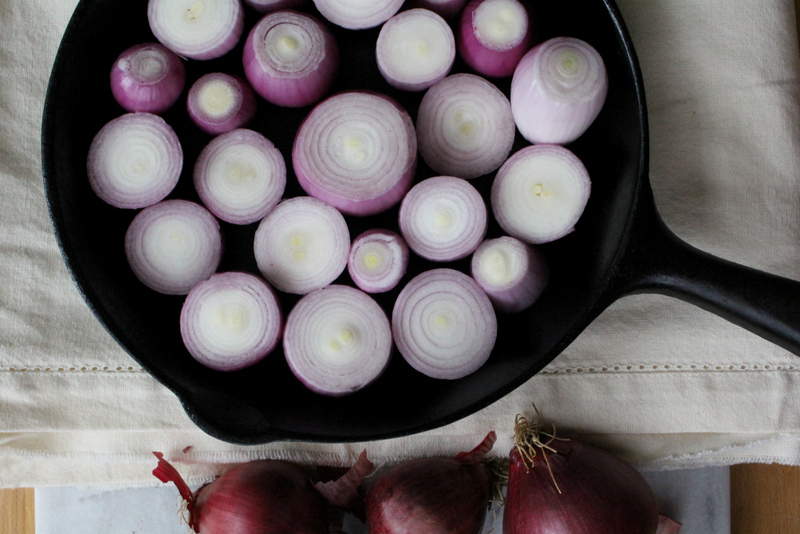 2Peel the onions and trim the ends; fit them snugly in a small cast iron skillet or other baking dish. If you like, cut the top off a head of garlic and nestle it in alongside. 3Drizzle generously with oil, pull the leaves off a couple sprigs of thyme and sprinkle them overtop (or just toss the sprigs in whole) and sprinkle with salt and freshly ground pepper. 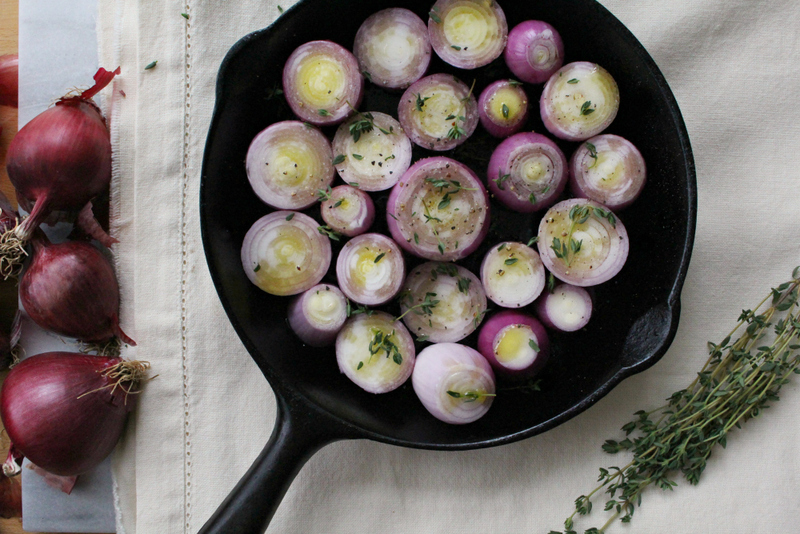 Roast for 30-45 minutes, until the onions are soft and golden. 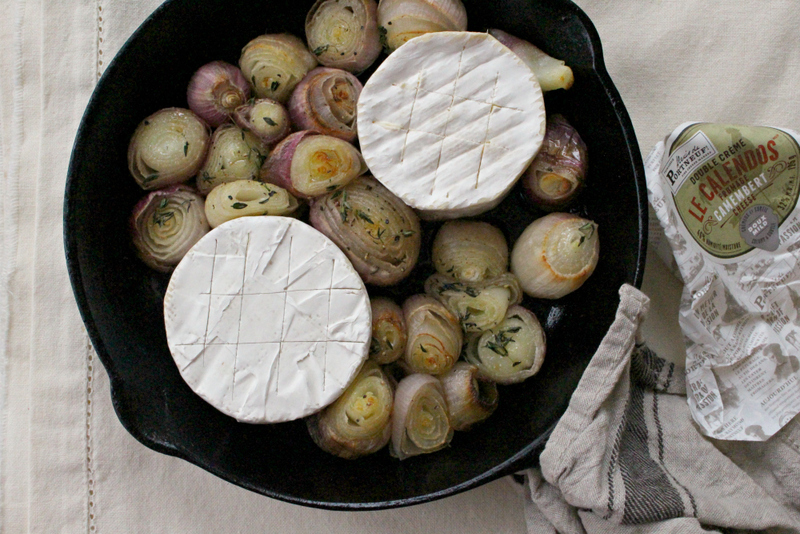 4Make a space by pushing the soft onions aside, and set a wedge or small wheel of Brie or Camembert in among the onions. Score the rind on the top of the cheese and drizzle with a little more oil; if you like, add a pinch of thyme to the top of the cheese, too. Return to the oven for a few minutes, just until the cheese starts to melt. 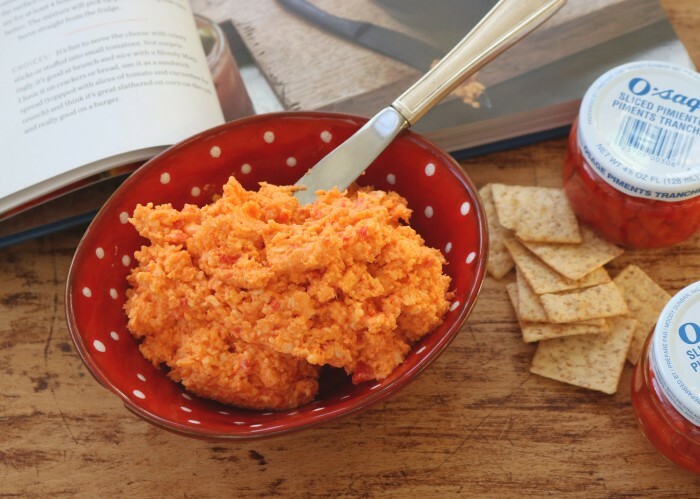 Serve immediately, with crackers and crusty bread for dipping. 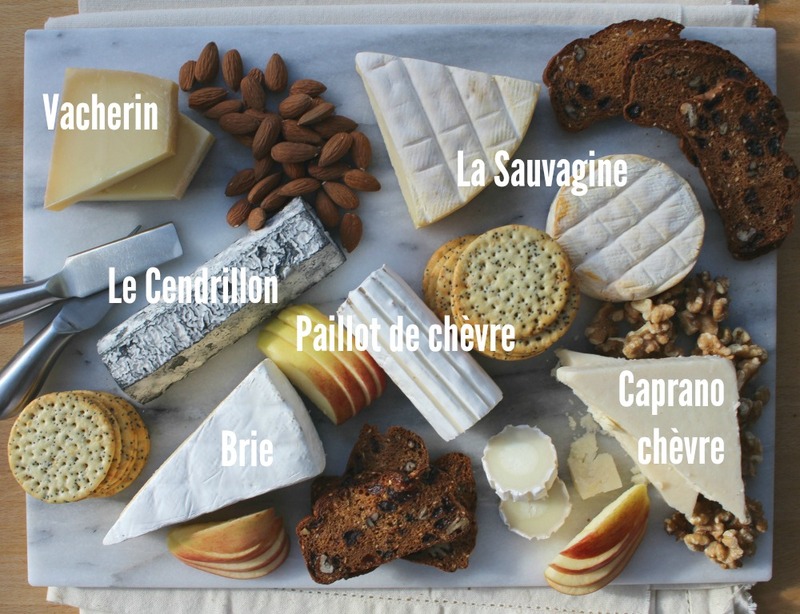 Thanks to Alexis de Portneuf for supporting this site, sending me cheese and asking me to share – it’s truly my dream assignment. I was in Switzerland last year and love their raclette, so simple and delicious. 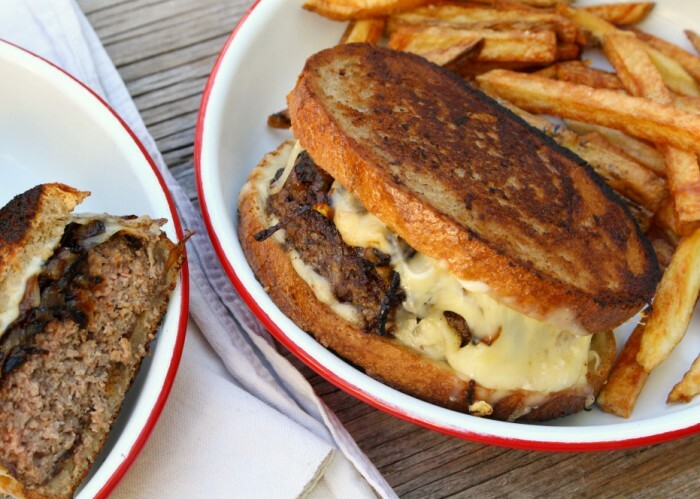 Without a raclette griller, you’ve shown how you can do it using a skillet and other type of cheese. Thank you! 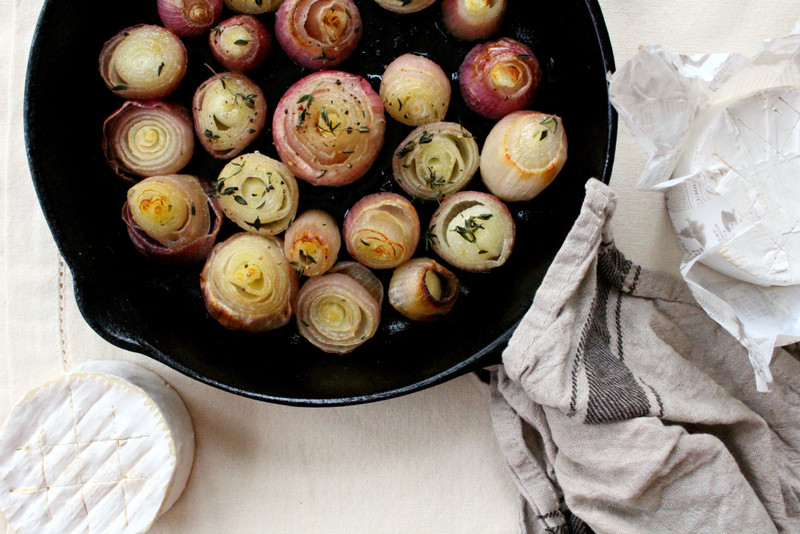 Your photos of the onions are beautiful. 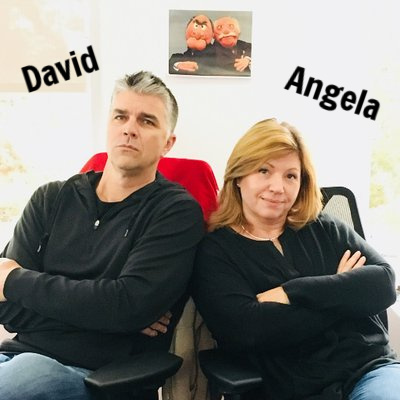 The photos that accompany all your posts really make your posts come to life.